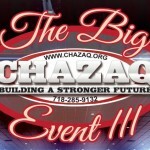 Everyone is buzzing about the upcoming Big Event CHAZAQ III, and this is one event you will not want to miss! CHAZAQ never fails to organize an incredible experience, but this year The Big Event will be the likes of which you’ve never seen before. On Sunday March 15th the Colden auditorium (in Queens college) will most probably host the most inspirational and entertaining show it has ever held on its stage. The lineup for The Big Event III is a star studded one. First off, the inspiring speakers will keep the crowd riveted. World renowned lecturer Rabbi Paysach Krohn is always inspiring. He speaks with emotion and doesn’t lose the attention of the crowd for a moment. His real life stories never fail to bring tears to your eyes and always make you proud to be a Jew. Rabbi Zecharia Wallerstein is one of those speakers that you just can’t bear to miss. His “tell it like it is” style keeps it real and he doesn’t beat around the bush. But his real desire to help fellow Jews and his dynamic way of speaking is what makes his lectures easy to swallow and internalize. Charlie Harary is both funny and real. He is very relatable, a regular guy who has the tools to get the right messages across in the most entertaining ways. His inspiring shiurim always leave listeners with a feeling of intense pride in being a Jew and the feeling that they have the ability to change for the better. If you are waiting to be knocked off your feet, Marc Salem, an internationally acclaimed mentalist will be the one to do it! Professor Salem has been a student of the human mind for over 30 years. He is considered one of the world’s foremost authorities on non-verbal communication. As an entertainer, Marc Salem has performed his show MIND GAMES around the world, astounding and baffling millions. He always leaves his audience laughing, thinking and thoroughly entertained. Using psychological techniques, a sharp eye, a quick wit and decades of training, Salem engages the audience in a series of mesmerizing and mystifying Mind Games. He has presented his program on the power of the mind to millions of people in theatres, on television and for private corporate events around the world. The tools of the psychologist, the skills of the advertiser, the audience management of the conjuror, are all elements in his arsenal. His show MIND GAMES concluded a run on Broadway and he has performed two extended runs off -Broadway – all of which received both critical and popular acclaim. He has just completed a year long world tour performing to sell-out audiences. Salem has been featured on Regis, Montel Williams, Maury, and CNN, among dozens of others. He has had two network specials. He is a regular analyst on Court-TV. Marc was the subject of an amazing Mike Wallace profile on 60 Minutes, available on the CBS news site. With a resume like this, he is sure to impress the crowd. So the big question is where are YOU going to be on March 15th?? The answer of course, is The Big Event III! And while you are having a night of incredible entertainment, you will also be helping an invaluable organization that is vital to the community; CHAZAQ. 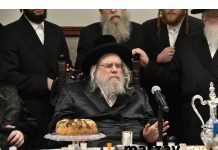 The vast amount of programs they have, as well as the hundreds of lives they influence toward yiddishkeit each year, is reason enough to support CHAZAQ. 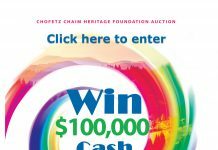 From a wide range of shiurim open to the community, to teen programs and public school clubs, as well as everything in between, we need CHAZAQ and CHAZAQ needs your support. We can’t wait to see you there! The speakers are really inspirational. Looks like this will be an exciting event. Where can we get tickets? I CANT WAIT FOR THE BIG CHAZAQ EVENT!!! To purchase tickets for the Big Event III, visit Chazaq.org or call 917-617-3636.
riddle: where can you hear 3 amazing speakers, a mind baffling mentalist and avraham fried ALL on the same night in the same place??? Why are you still reading this?? you should be at the event parking your vehicle or walking to the concession stand!